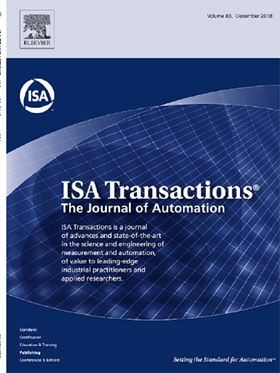 The article 'Achieving constant speed of a hydrostatic drive using controlled operation of the pump and enhancing its energy efficiency' has been published in Elsevier Partner Journal ISA Transactions. Novel ways of regulating the speed of a hydraulic drive through controlled operation of the pump either by loading/unloading the UPRV (unloading pressure relief valve) or by switching on/off of the prime mover driving the pump have been presented in this paper. The UPRV is used to operate the pump with a minimum load by diverting the pump delivery to the tank at low pressure. The energy efficiency of the said two methods adopted for controlling the hydro-motor speed is also compared. In this respect, the MATLAB®/Simulink model of the system is made and validated experimentally. The static and dynamic performances of the system are investigated using the validated model. The results show that the UPRV controlled system demonstrates better dynamic performance and controllability in terms of decreased fluctuations in hydro-motor speed for the small load torque demand. However, by comparing the energy efficiency of the hydraulic system for the two control strategies, it is found that with the increase in the machine torque demand, the intermittent operation of the pump unit may be more preferable with respect to the amount of energy saved for the complete duty cycle of the system. The influence of the clocking position of the pump on hydraulic performance was studied.